Illegal wildlife trafficking tends to evoke images of harshly lit ports and dingy warehouses, but in reality a lot of it takes place in front of a screen. For those dealing in the illicit trade of rhino horns or pangolin scales, the anonymity and global reach of the internet are obvious draws. A new international effort involving 21 tech companies aims to address the growing crisis of wildlife trafficking online. 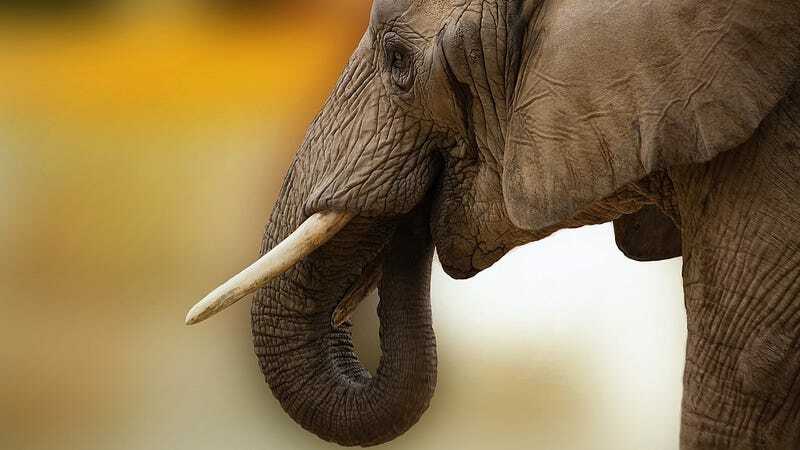 The Global Coalition to End Wildlife Trafficking Online, organized by Google and the World Wildlife Fund, and including other industry behemoths like eBay, Etsy, and Facebook, as well as the NGOs TRAFFIC and the International Fund for Animal Welfare (IFAW), is pledging to reduce wildlife trafficking across platforms by 80 percent by 2020. The effort comes as tech companies face increased criticism for allowing illicit wildlife activities to run rampant on their platforms. A customs official displays one of the 136 illegal pangolins seized, during a press conference at the Customs Department headquarters in Bangkok, Thailand, in 2017. Sue Lieberman, Wildlife Conservation Society’s Vice President for International Policy and an expert on wildlife trafficking, told Earther that wildlife trafficking online is a growing problem as sales of everything on the internet increase across the world. WCS is not part of the new initiative, but Lieberman said it’s very important to work with online networks like Facebook and Google, and their Asian counterparts like Alibaba and Baidu, in order to crack down on sales. Popular platforms from Instagram to Craigslist have come under fire recently for failing to adequately monitor wildlife sales and content. In 2016, Facebook was forced to apologize for baby hedgehog ads in its marketplace. According to the WWF, it can take “just minutes” to find everything from “trinkets like elephant ivory carvings to live animals like tiger cubs” online. According to the UN Convention on International Trade in Endangered Species (CITES), the annual value of wildlife crime globally is as much as $20 billion. This includes more than 20,000 African elephants killed illegally each year and three rhinos a day in South Africa, according to WWF. Rhino horn is coveted for its purported medicinal qualities, and as a carved ornament connoting a prestigious status, in many parts of East Asia. The sale of live animals as pets is also an increasing problem, with many people turning to online markets for birds, tortoises and less-commonly domesticated and increasingly endangered wildlife, according to Lieberman. The new initiative invites other companies to develop action plans tailored to trafficking problems on their platforms. These plans including making sure staff have the ability to detect illegal wildlife products, using machine learning to help identify endangered species content, and improving user awareness. Participants will also engage in regular meetings to share best practices. Lieberman said that a combination of increased public pressure along with a broader awakening across the tech sector is helping spur action on illegal wildlife trafficking online. This Warehouse Holds All Illegal Wildlife Goods Confiscated In The U.S.